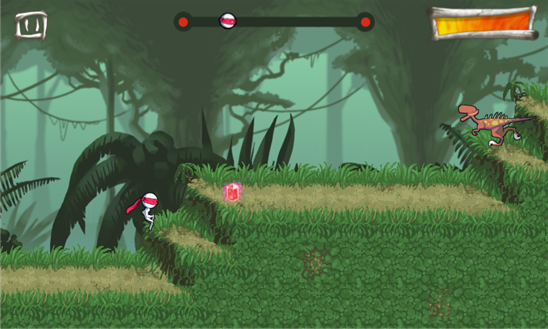 A fantastic new platformer by game publisher Amnesia Games titled ”Ninja Joe” is now available! check it out below! Joe travels to the past to the age of dinosaurs. He must find the mystical stone to save his Ninja master from a terrible curse. 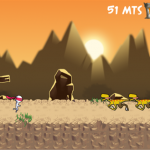 Guide Joe through 3 worlds, evade obstacles and defeat the smart velociraptors. 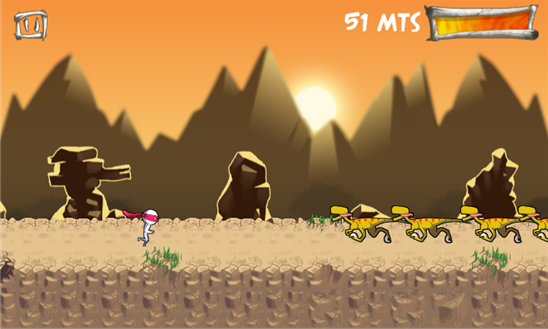 Runs across the rocky desert, the rain forest and the White Mountain beats velociraptors powerful bosses and stay with the girl in the story!Ninja Joe travels to the past to find the gems mystical medicinal cure his master of a mysterious disease. - Infinite Career Mode, where you must run as far as you can. - Final secret of history! 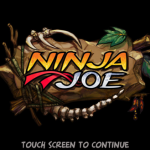 - Control based on gestures: four movements of your finger on the screen (+ combinations) control to Joe. You only need one finger to play! 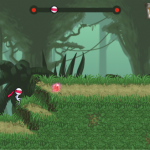 - Very balanced design levels: the difficulty starts easy and progresses metered. Tested by many real users. 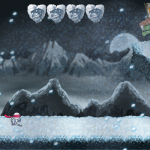 Joe’s skills will be igniting with dialog on the screen as the game progresses. - Can be enjoyed by both casual and advanced players. The difficulty curve is designed for an average player, but more casual players can use the button “back in time” to overcome the most difficult challenges. - When the player learns new skills that give you access to new ways to play – The first time the player combines skills or used in an unusual way. - The boss battles are all different and velociraptors are important points in the development of history. Each head is overcome with the skills learned so far. 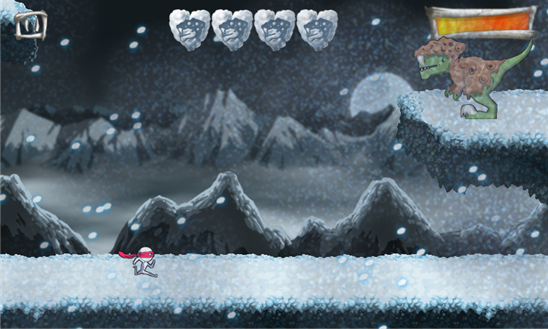 - There is a surprise ending and if you manage to collect all gems. Written by: MBGW on October 24, 2012.